The innovative and moisture-rich organic plant-derived fluids from grapes, peaches, and apricots along with hyaluronic acid and soya liposomes enriches your skin with moisture. This Moisturising Cream leaves skin feeling wonderfully smooth. 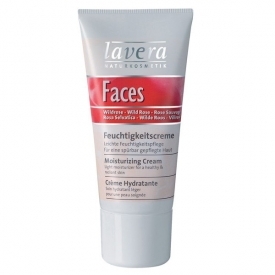 Mornings and evenings after cleansing and toning, apply a small amount of Lavera Moisturising Cream to your face, neck, and decolletage and gently massage into your skin. Sometimes I like rose scents and sometimes I don't (I think the problem is that there are so many rose scents that it becomes difficult to decide if it's "rose" or chemicals). This one I do like; it's light and fruity rather than heavy and cloying. The cream itself is light but firm enough to be easy to use. Absorption is good and doesn't leave a layer feeling on the skin. In all honesty there is little evidence of impact except that yes your skin does feel smooth. 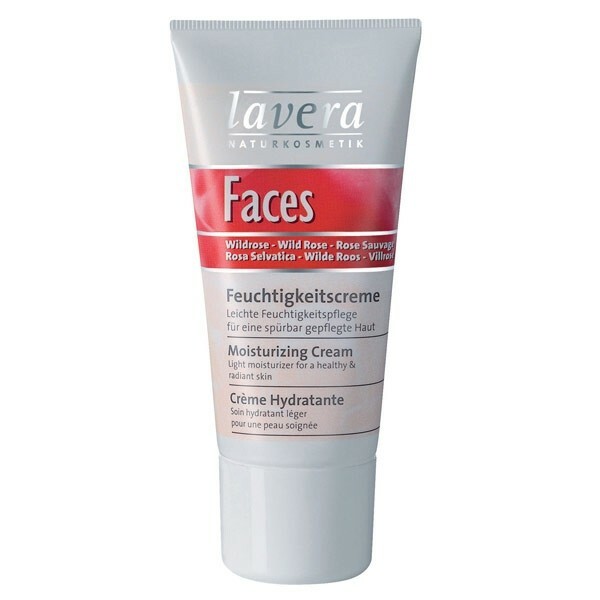 I think that this product was replaced by the Lavera Faces Wild Rose : Organic 24 Hour Moisturising Cream - 30ml - For dry skin as I couldn't find this one to update it. A lovely, creamy, quite cool on the skin, moisturiser. I love the feel of this cream and it smells good too sort of sweet and slightly floral/fruity. It feels gentle and is quickly absorbed and after wards my skin feels soft and looks healthy. I am not sure if I would buy this regularly given the price and the last bits of product are hard to get out of the tube too. I cut mine with scissors and there was at least three days worth that I could not get out before doing that. This moisturizer has a lovely rich creaminess to it but is easily absorbed and leaves my skin feeling enriched but not oliy. The rose scent is divine, I love it. It's a little pricey for just 30mls. A lovely smelling, rich moisturizer that naturally soothes skin but that is a bit of a luxury given the price for such a small tube.